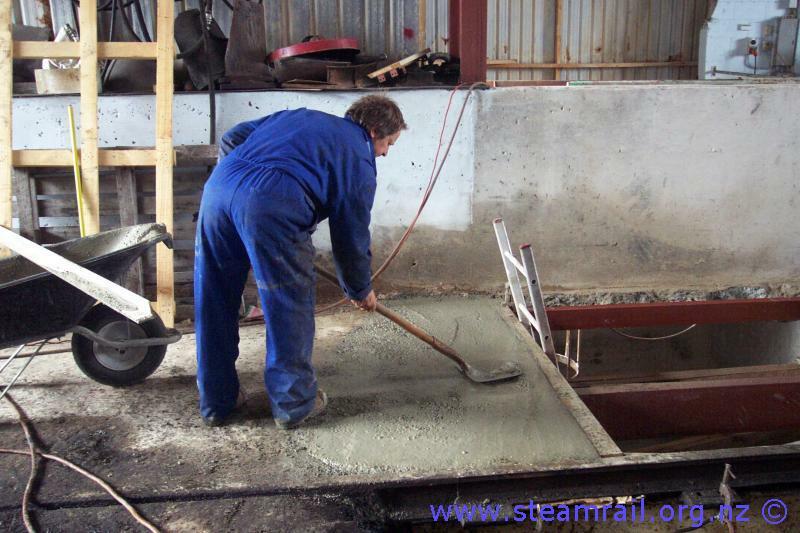 The Pit Shed was used by Ravensdown to empty trucks and rail wagons of fertiliser. 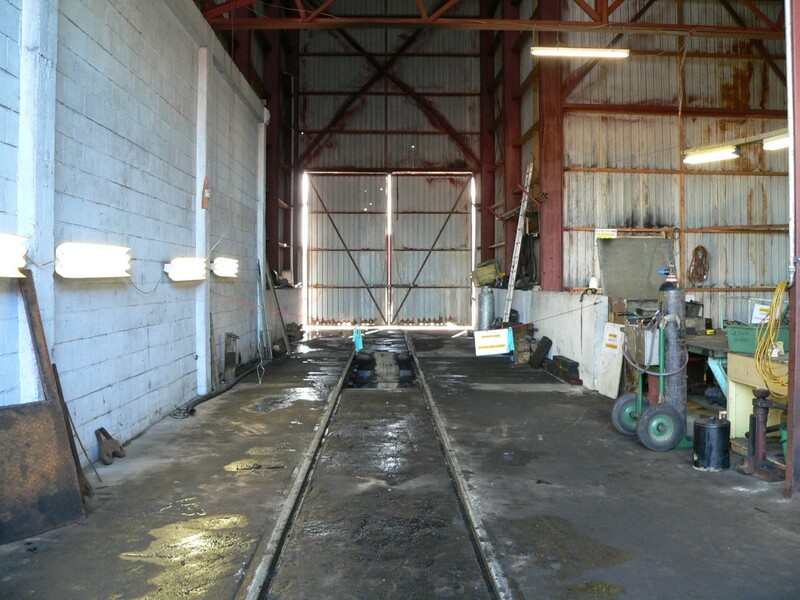 In the middle of the pit shed is a 12 foot pit that the fertiliser went into. 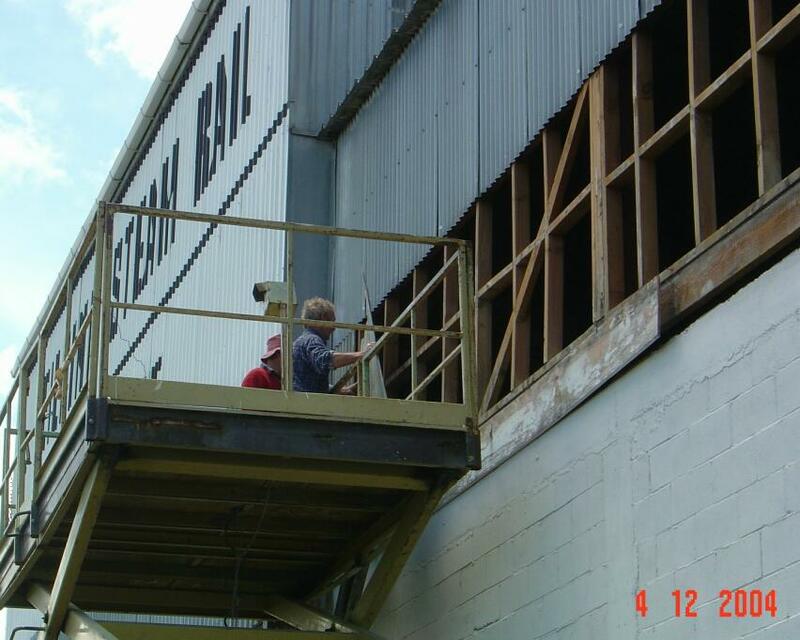 From there the fertiliser was lifted and sent to what is now the carriage shed. 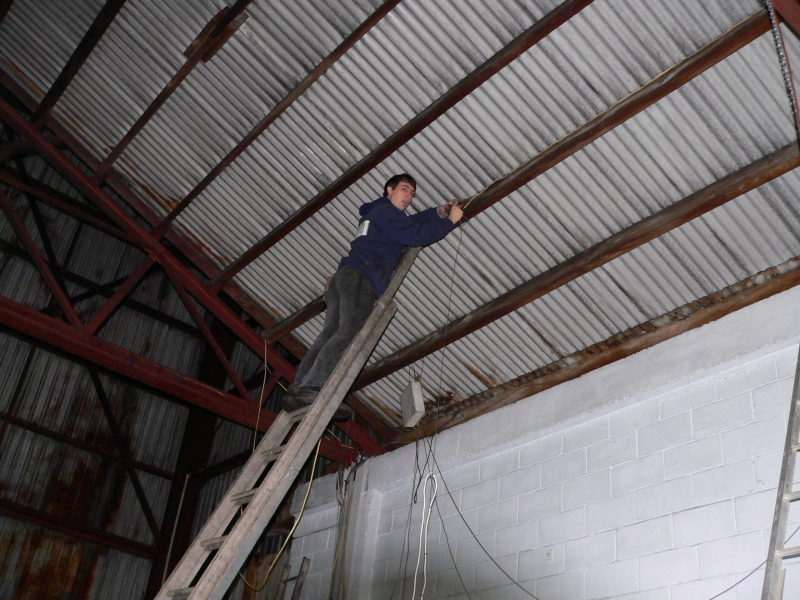 Mike up a very tall ladder installing some lighting so the boys can see what they are doing. 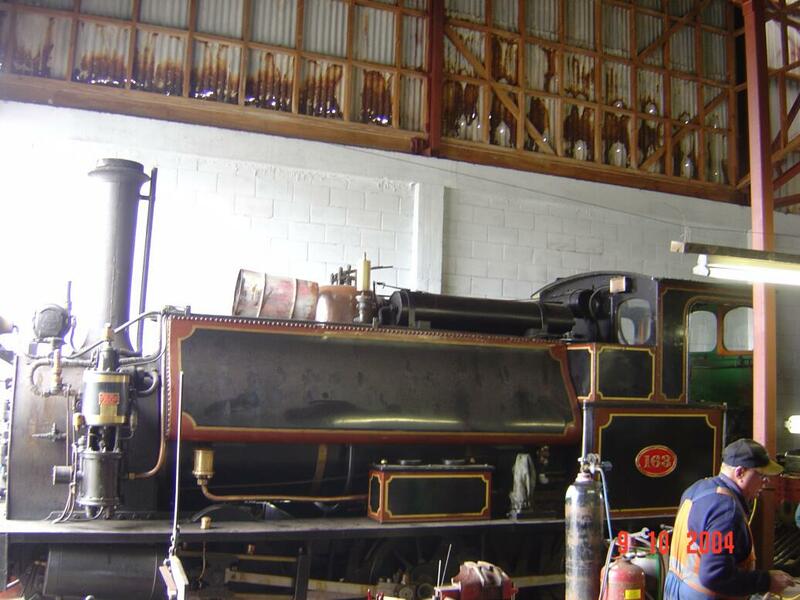 A fan has been installed high in the pit shed so that dangerous fumes will be extracted when the diesel locos are idling in the shed. 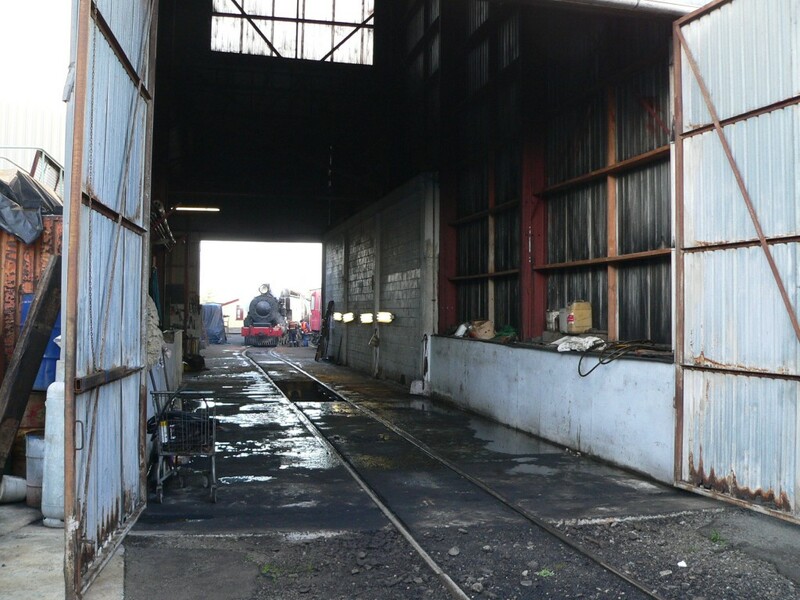 Looking through the Pit shed towards Taonui Station. 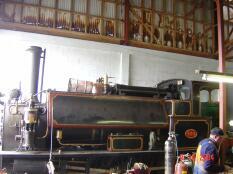 The Pit shed tracks looking towards the turntable. 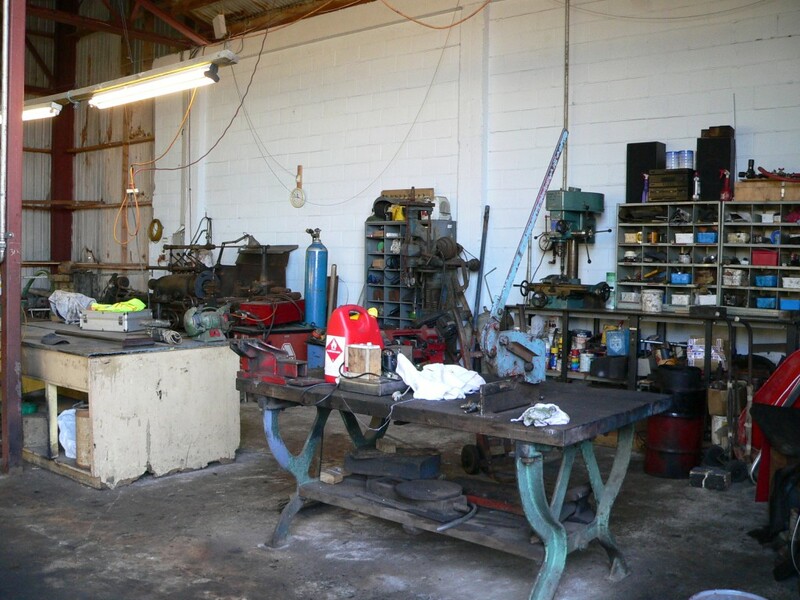 The Pit shed engineering workshop. Replacing the rusty iron that is no longer water proof. Fertilser is rather corrosive, as can be seen with the rust in the iron wall. 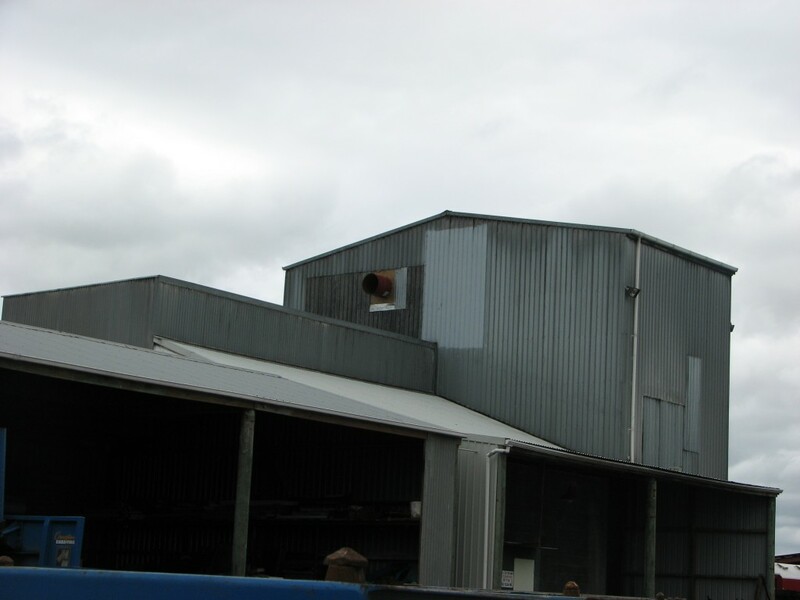 The Pit shed has a deep pit in the middle where the fertiliser elevator was installed. 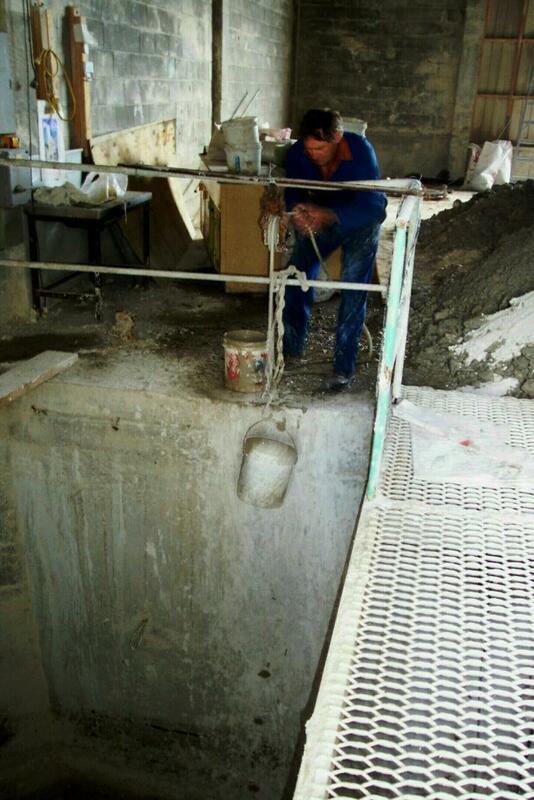 When it was removed it left a large hole that was covered in a temporary fashion. 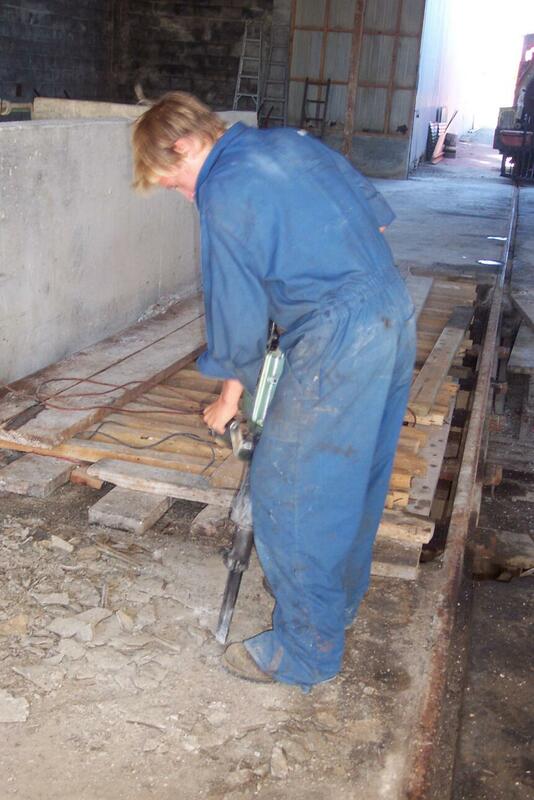 We are making a permanent top for the pit, which requires some concrete, steel and timber. With good christmas weather, we were also able to paint the outside. 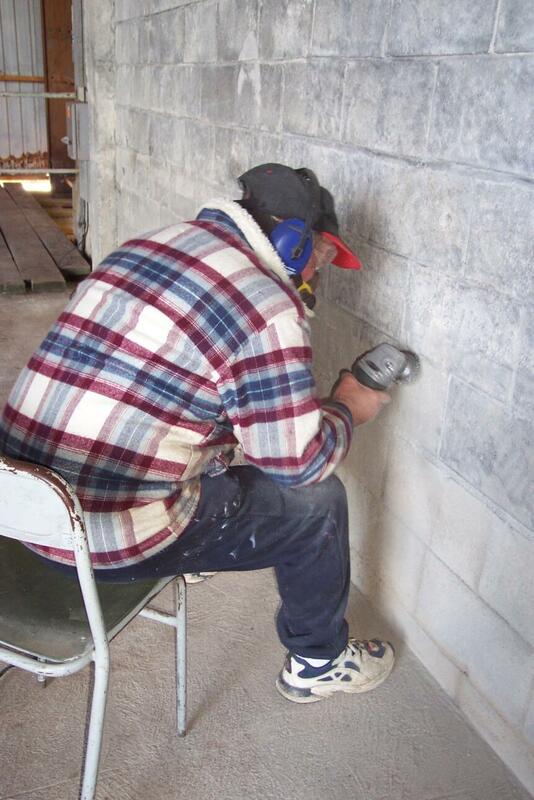 Bob Judd is seen here painting the walls in an attempt to seal the wall, to prevent the moisture coming though the block wall. 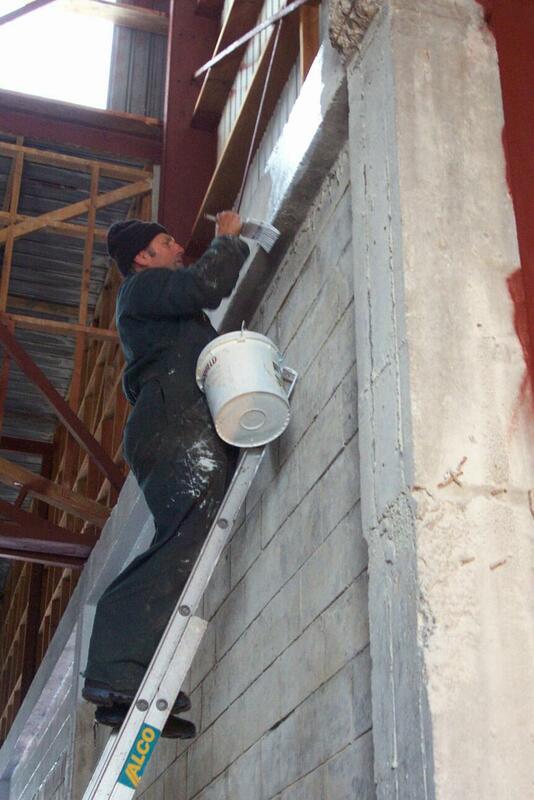 Not all the walls were easy to paint. Some were quite tricky to get at. 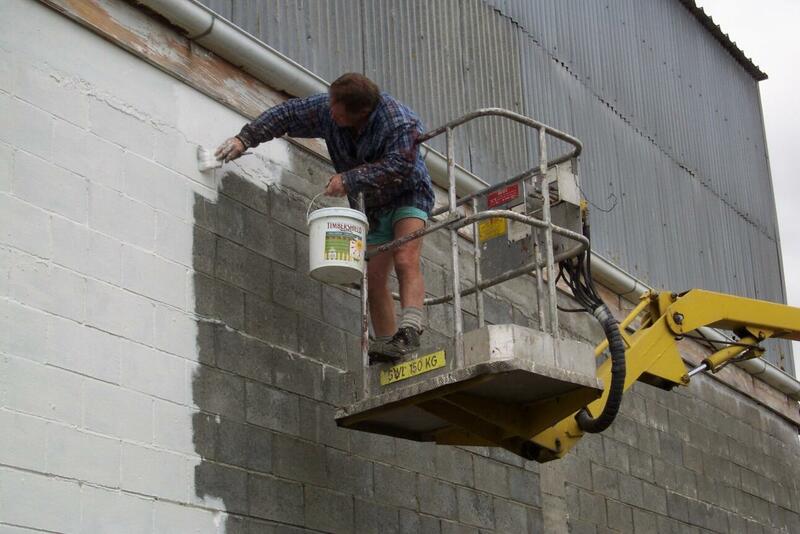 Finally all the fertiliser has been cleaned out of the pitshed, and we are able to paint the walls with a bright white paint to attempt to make the building brighter to work in. After water blasting there was still a lot of fertliser on the walls. 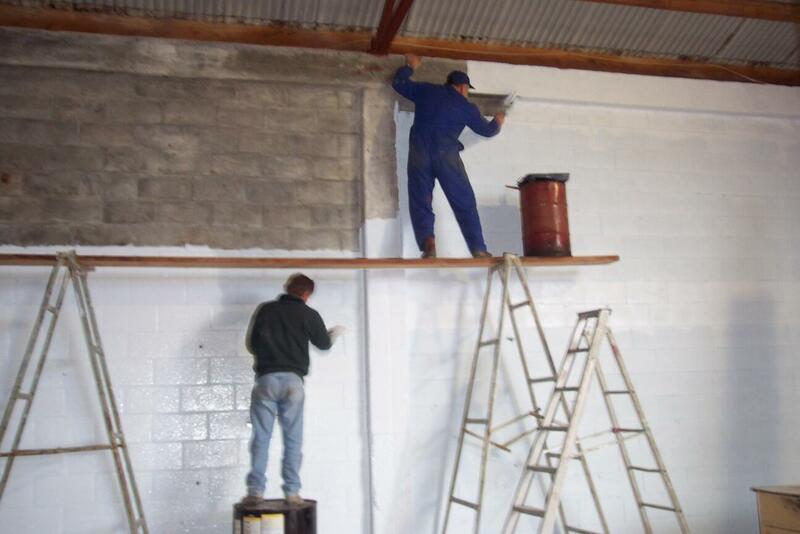 We used angle grinders to remove it so that the wall was clean enough for painting. The fertiliser came off in chunks like pieces of concrete. 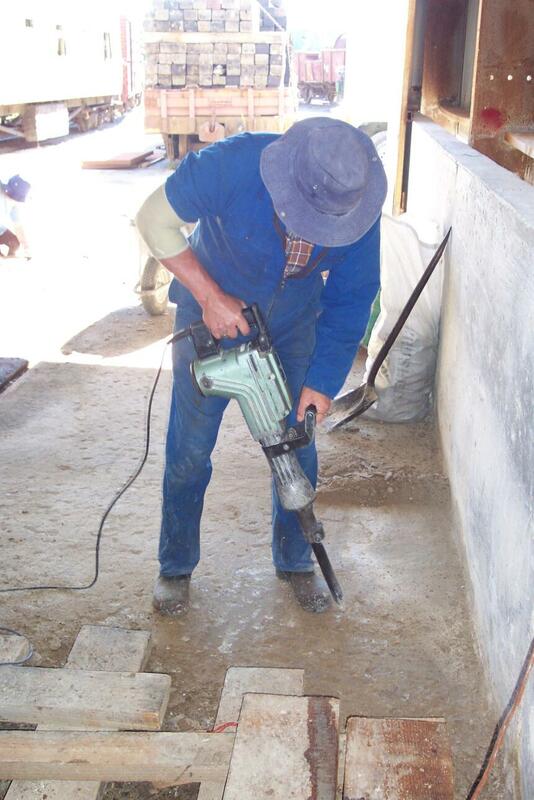 Power chisels where used to remove the layers and layers of fertiliser from the floor and walls. Another bucket of fertiliser coming up out of the pit. The walls were water blasted to attempt to get the years of fertliser off them. 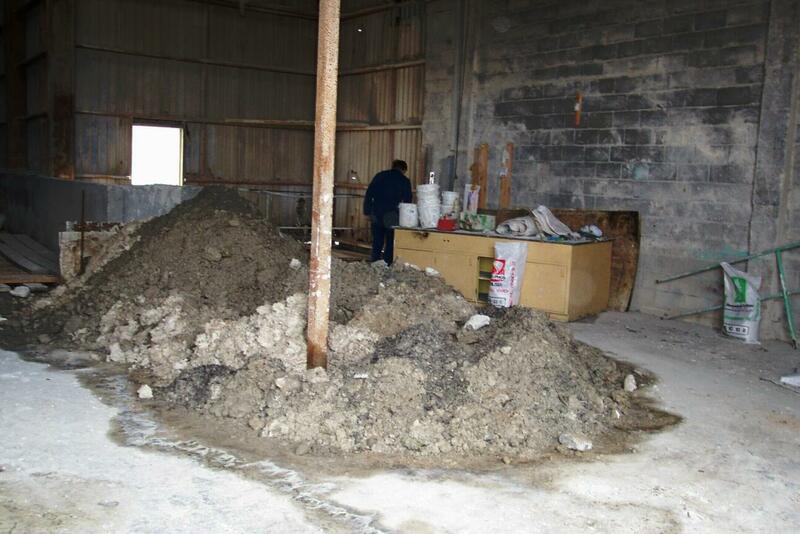 The shed still contained a lot of old and yucky fertiliser, especially down in the pit. 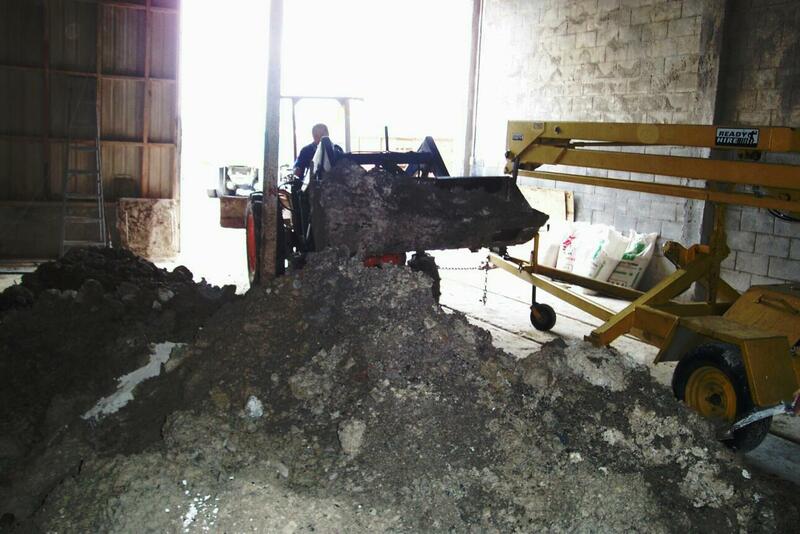 A lot of this fertiliser was removed by buckets and shovels.